at the Ronald Reagan International Trade Center was one of many prizes clinched by Africa at the event. 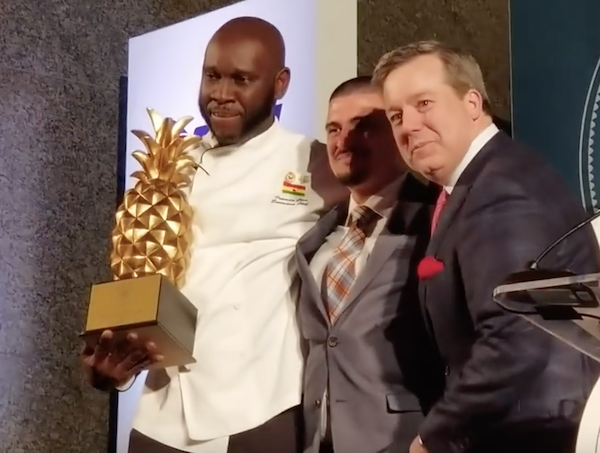 “I want to thank this year’s champions Chef Javon Cummings of Barbados who won the coveted first place ‘Golden Pineapple’ in the Judges’ Choice Award and Chef Dimitri Lilavois of Haiti for grabbing first place in the People’s Choice Award and say Africa is proud of them. 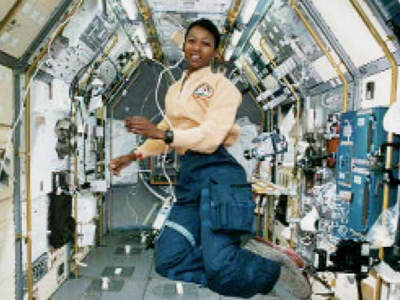 I also say thanks to the organizers, especially Events DC and TCMA and other great sponsors and supporters who have continued to make this beautiful experience started 11yrs ago by Linda D. Harper the wonderful international experience it has grown to become today,” concluded Chef Otoo in his chat with TheAfricanDream.net. 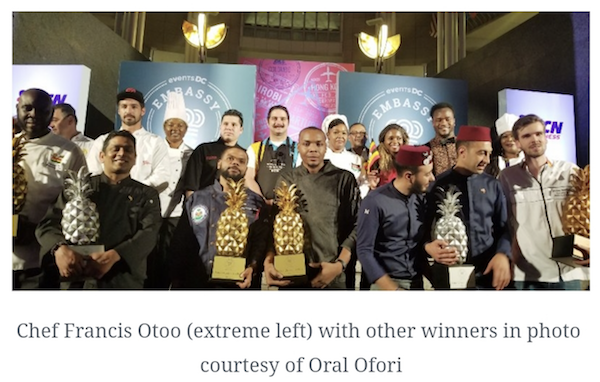 Embassy of Ghana personnel at the ECC in support of the Chef were Trade attache Stella Ansah, Diaspora Affairs desk Akosua Baddoo and Angeline Addy of the embassy’s info desk. 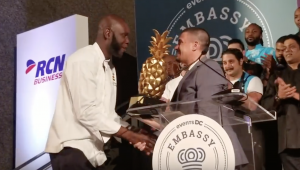 Editor of Afrikan Post newspaper George Kwasi Bright and other well-wishers from Africa and the Diaspora were present to throw their support behind the Chef.